So you’ve got your countertop compost bin. You’re minimizing your food waste with “Leftover Night”, and you’re planning your meals ahead of time to really use everything in your fridge. What else can you do to reduce your plastic container/food waste? Bring your own “Doggie Bag”. 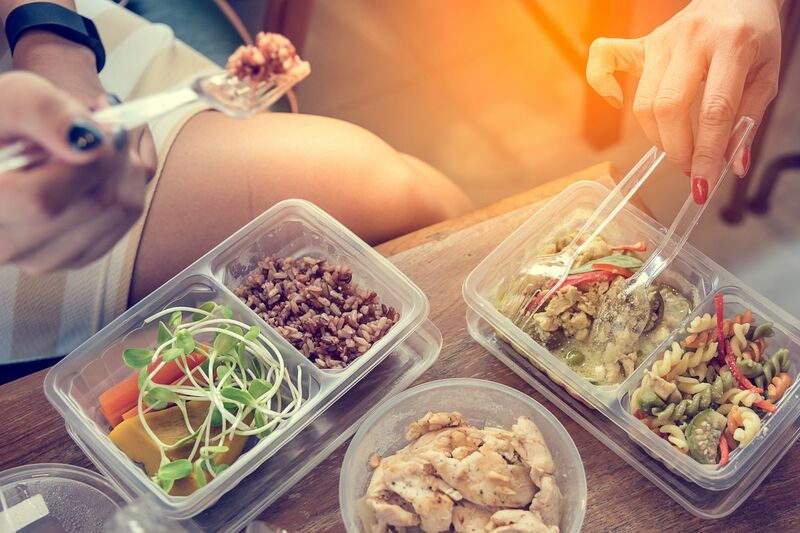 Some restaurants in town still use styrofoam and foil containers to pack your dining leftovers. So, keep a stash of clean containers in your car. When you know you’re going to be eating out, and probably won’t clean your plate, bring your reusable container in the restaurant with you. Ask restaurants for less waste. Don’t take the straw; if you’ve forgotten to bring your container for leftovers, simply ask the waiter for no styrofoam. Ask if they have compostable utensils, cups; even if you know they don’t, you’re raising awareness in the community that demand exists for compostables. Use beeswax food wrap as an alternative to plastic wrap and bags. These wraps are washable, re-usable, and a great way to replace toxic plastic or aluminum containers. Wrap your sandwich in them; bring them with you when you order meat and cheese from the deli section of the grocery store. BONUS: Make your own beeswax food wraps with this easy tutorial! Keep a car kit. If you’re hard-core, keep a kit in your car for when you go out: Reusable shopping bags. Metal straws (WholeFoods, Target, Bed Bath & Beyond sell them). Clean cups from home, and clean plastic leftover containers. Beeswax wrap. Have another tip to share? Let us know, and we’ll include it on this website.